It’s a very strange irony that socialization is happening using computers. And face-to-face interaction is conducted on Facebook. In a presentation given at OMMA Social during Internet Week, and reported by Adrants. ComScore Media Evangelist Eli Goodman rattled off a plethora of juicy social media facts and figures. Here are but a few for you to digest. 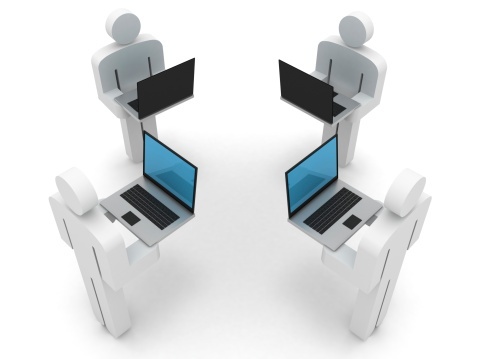 1.2 billion people access social networks on their computers. One of every five minutes spent online is on a social network. Five of the most engaged markets for social networking are in Latin America. Facebook has 55% global penetration. It is the third ranked site in the world for traffic. One in seven minutes online are spent on Facebook. Three in four of all social media time spent online is on Facebook. There are only five markets in the world where Facebook isn’t the leading social network. In January 2012, Facebook surpassed Orkut in number of users in Brazil. Males over 55 are the fastest growing segment of social media users. Women spend more time on social networks but men are catching up. Digital Natives (15-24) have largest decline in email and IM usage. One in four display ads are on social sites. Five percent of all U.S. display ads are socially enabled. Google Plus is the fastest growing social network reaching 25 million users in one month. Consumers are socializing. But it’s with a computer. The challenge is for healthcare marketers to discover how to join them there and engage them. It’s new ground. It’s not an easy task. We must continue to experiment, observe and learn. The task at times is daunting. But the rewards could be substantial.